le chaudron de vulcain – November 29 , 2017. EN. 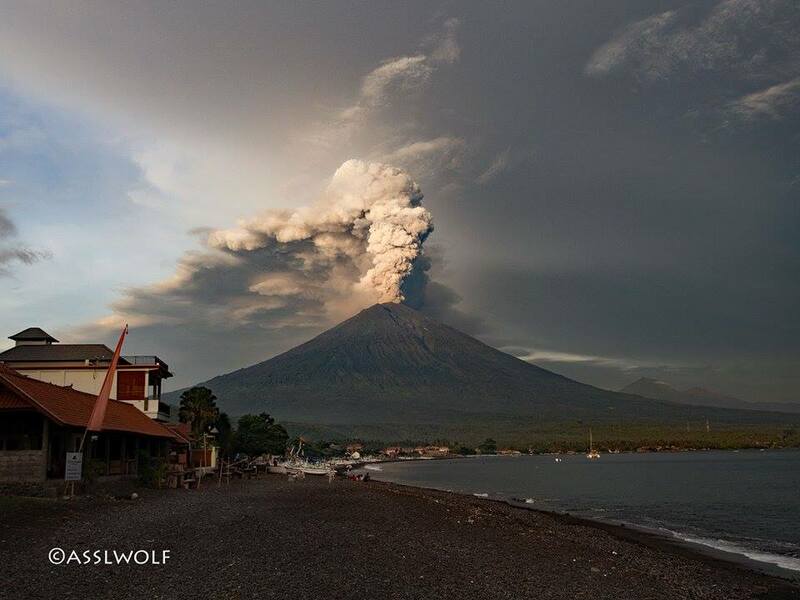 Agung , Etna , Kuchinoerabujima , Cumbal , Pacaya . Home / agung / November 29 , 2017. EN. Agung , Etna , Kuchinoerabujima , Cumbal , Pacaya . 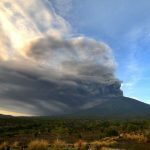 On the basis of the results of the visual and instrumental data analysis and considering the potential threats of danger, on November 27, 2017 at 06:00, the status of G. Agung passed from Level III (Siaga) to Level IV (Awas). Since yesterday, the volcano is clearly visible until the appearance of the mist. A column of thick, gray smoke reaches an altitude of about 2000-4000 m above the peak, which is scattered west-southwest. A continuous tremor with an amplitude of 1 to 20 mm and a dominant value at 2 mm. A tremor « off scale » was recorded at 13:33. 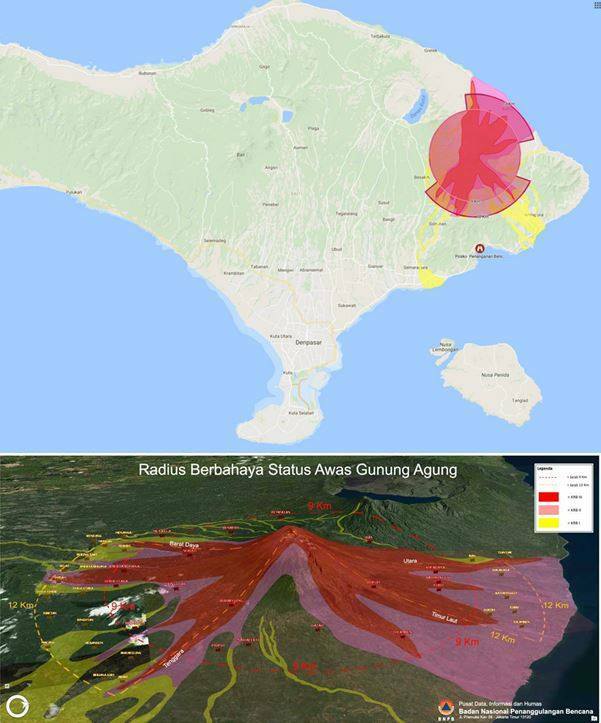 Communities around G. Agung and climbers / visitors / tourists must not climb and do activities in the danger zone around the crater of G. Agung and in all areas within an 8 km radius around the crater of G Agung. A sectoral extension has been added north-northeast and south-east-south-south-west up to 10 km from the crater of G. Agung. The estimated area risks are dynamic and continually assessed and can be modified at any time based on the most recent observational data from G. Agung. VONA: Last issued code: a RED color code, published on November 28, 2017 at 07:10, eruption linked to continuous volcanic ash emissions with height of 7142 m of altitude or 4000 m above the summit. The ash column slopes west-southwest. Small emissions of ash (still old, pulverized rock material, not new magma) from Etna’s « very very newest Southeast Crater » aka « the former saddle vent ». Today, the gale-force wind is blowing the ash plumes to south-southeast, pushing them downslope on the ground to a certain distance. View from Tremestieri Etneo at 06:58 h on 28 November 2017. In recent weeks, Etna shows signs of reawakening. Small ash emissions are irregularly emitted from the New South East crater. But the real news is not there and it is another crater: the crater Northeast. The bottom of this crater, in fact, suddenly collapsed, forming a semi-circular mouth (see the exclusive photo below) which has continued to emit a dense plume of gas. 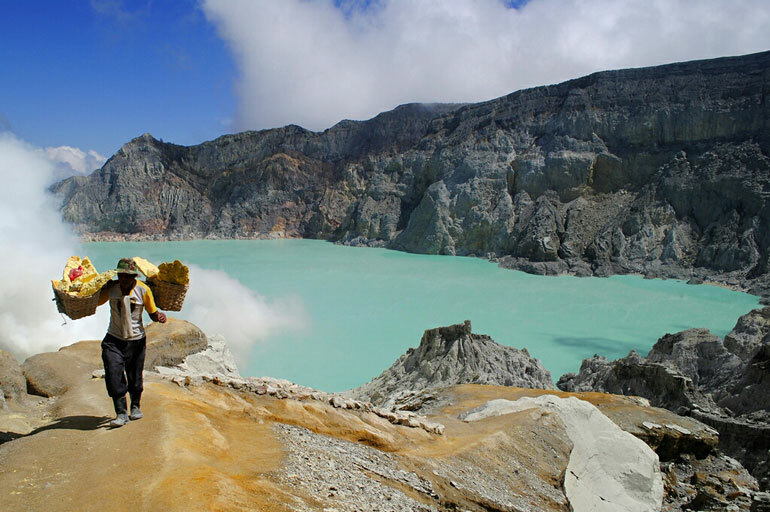 The crater of the North-East is, today, the highest peak of the volcano (3324 m above the sea) and its most recent activity dates back to May 2016, when the bottom of this crater was completely blocked by the products issued. For about a year and a half, the crater of the Northeast has remained « closed » by ceasing to expel the dense and particular gaseous plume that had characterized in recent years. 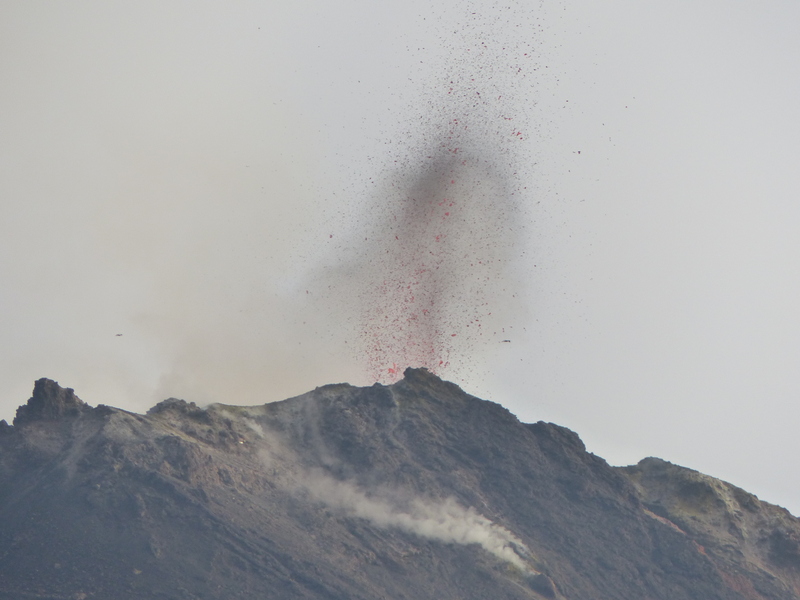 Now, the resumption of Etna activities coincides with the « reopening » of the Northeast Crater. An important novelty for the recent history of the volcano, which indicates a significant morphological and structural change in the precarious balance that governs the summit of Etna and its summit craters. Researchers from the National Institute of Geophysics and Vulcanology of Catania (INGV-OE) are closely following the evolution of phenomena. 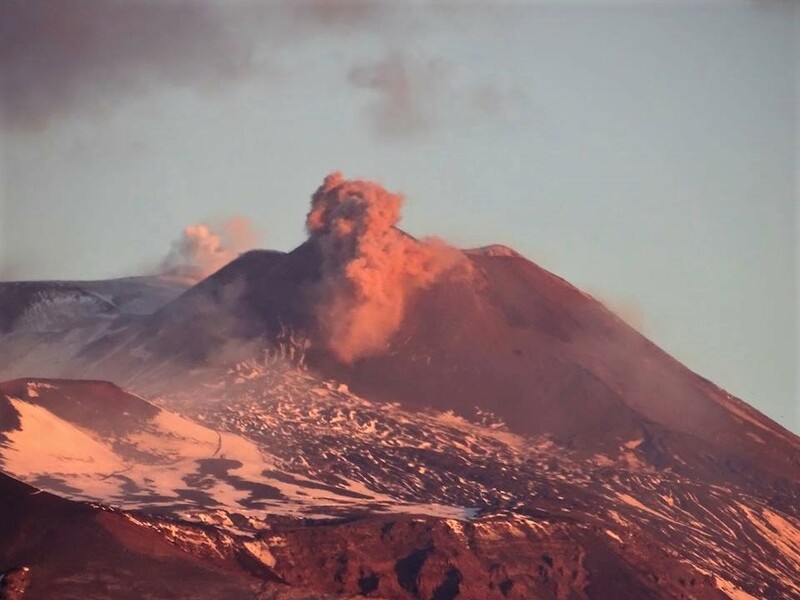 Last week, the summit of Etna was analyzed from above, through images captured by a drone that also found the new degassing mouth. Scanned images, reworked appropriately, will allow to reconstruct topographic surfaces detected in 3D, marking the least difference between them, thanks to the high resolution capabilities of the camera used. 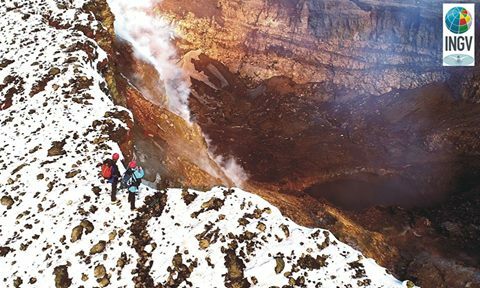 The images of the drone reveal, among other things, the precarious stability of the inner walls of the Northeast crater, rapidly subject to expansion by collapses that can be sudden and unpredictable. One more reason to pay special attention to approaching the edge of this restless crater and its surroundings. Source : Boris Behncke , lagazzettasiracusana.it , INGV , Marco Neri . 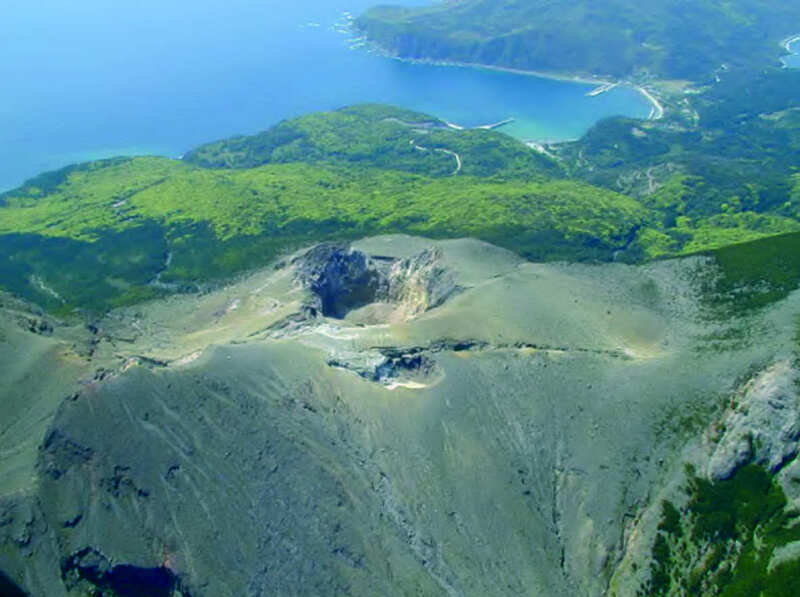 On November 27, on Yoshinobu Kurabe Island (Kuchinoerabujima), Kagoshima Prefecture, the number of volcanic earthquakes with epicenter directly below the crater increased to 65 per day. The number of earthquakes per day has exceeded 50 since the eruption of May 2015, the amount of volcanic gas released is also increasing. 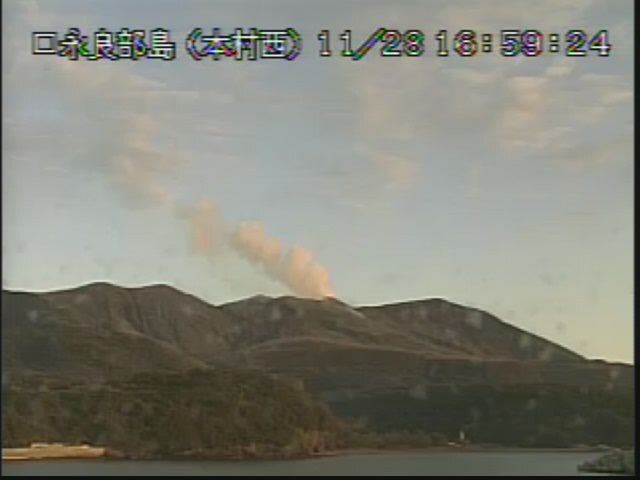 According to the Kagoshima local meteorological observatory, volcanic earthquakes have increased rapidly since the 25th of this month on the Kuchinoerabujima. The number of occurrences per day was 9 on 24, 37 on 25, 20 on 26 and 65 yesterday. Today it’s 35 now at noon. According to a survey conducted by the University of Tokyo and Kyoto University on the 27th, the amount of volcanic gas (sulfur dioxide) released is 200 tons per day, twice that of the previous day. On the 28th, in the Shindake crater located in the center of the island, white clouds of smoke are recorded more than 700 meters above the crater. On the Kuchinoerabujima, May 29, 2015, an explosive eruption occurred in the Shintake crater, a pyroclastic flow has reached the coast, all the inhabitants of the island were evacuated from the island. For this reason, the Meteorological Agency maintains the eruption alert level at « 3 » and, about 2 kilometers from the crater, it requires a safety zone because pyroclastic flows can occur with an eruption. Source : hazardlab.jp / Sherine France , GVP. Subject: Cumbal Volcano Activity Bulletin. During the evaluation period, from 21 to 27 November 2017, the downward trend persists in the occurrence levels and energy of seismic activity, compared to the previous two-week period (on a total of 323 in the previous period, 309 in the current period), most of these earthquakes are associated with fluid movement in the volcanic system from a transient source. Associated events are mostly rock fracturing and are located in the vicinity of La Plazuela crater, north of the Cumbal Volcanic Complex, less than 17 km away, depths between 1 and 7 km and local amplitudes up to 0.7 degrees on the Richter scale. 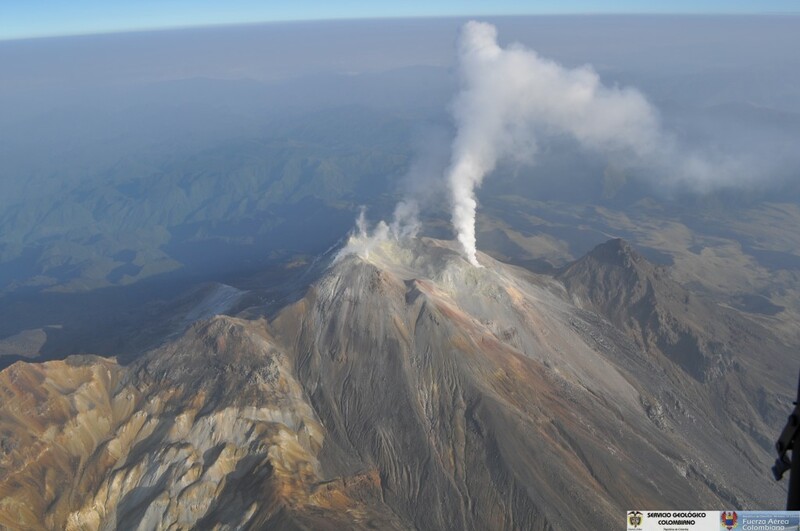 Favorable climatic conditions at the summit have allowed gas emissions to be recorded throughout the assessment period, mainly from the El Verde fumarole fields in the northeast and Rastrojo south-west of the volcanic complex. The emission columns were observed white, of variable height and direction of dispersion changing by the action of the wind. The Colombian Geological Survey continues to monitor the evolution of the volcanic phenomenon and will continue to report in a timely manner if changes are detected. 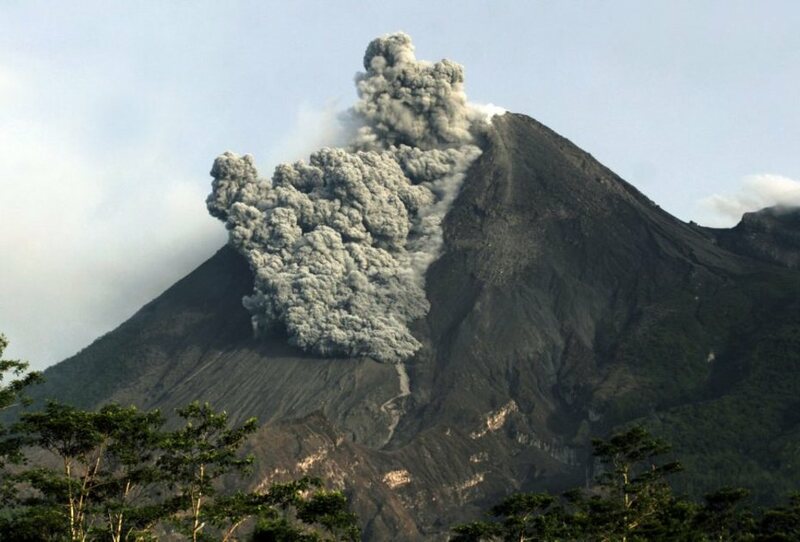 As reported throughout the year, the activity pattern of Pacaya Volcano continues to change. Today, the Volcanological Observatory of Pacaya Volcano (OVPAC) reports the presence of a lava flow on the northwest flank, emitted by the crack of the eruption of 2010, probably towards Cerro Chino. So far, it is estimated to be about 30 meters long. 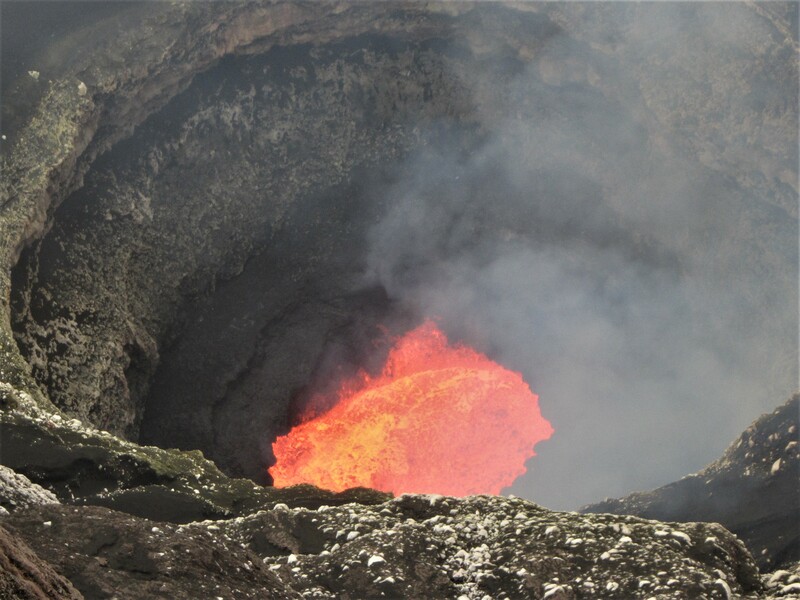 The presence of this lava flow is produced by the accumulation of material forming the intra-crater cone, which currently exceeds the edge of the Mackenney crater and in which the explosive activity of the main degassing vents is observed. This new cycle of activity is accompanied by moderate Strombolian explosions, ranging from 6 to 8 per hour, ejecting materials of different sizes at a height of 25 meters above the main cone. It is expected that this new business cycle will continue to be presented in the coming days, with explosions that could increase and become strong. 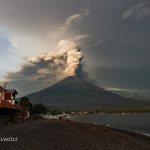 At SE-CONRED: to be aware of the evolution of this new eruptive cycle of the Pacaya volcano, because the lava flows continue to increase, just as it is still presented strong explosions that produce flows of Crater lava in different directions. 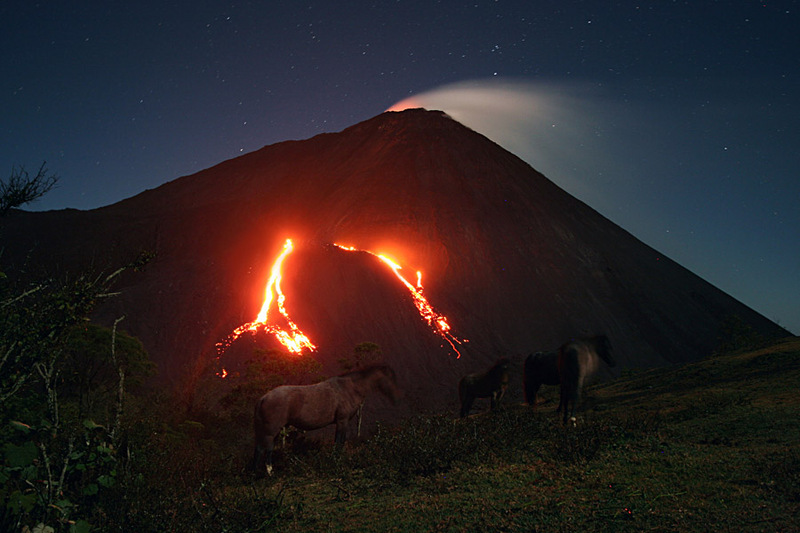 At the Pacaya Volcano National Park: Restrict the ascent of guides and tourists to the Mackenney crater Take the necessary steps with tourists who are approaching the lava flows.